The Just The Business workshops are proving to be a real hit among local entrepreneurs across Mid Ulster. 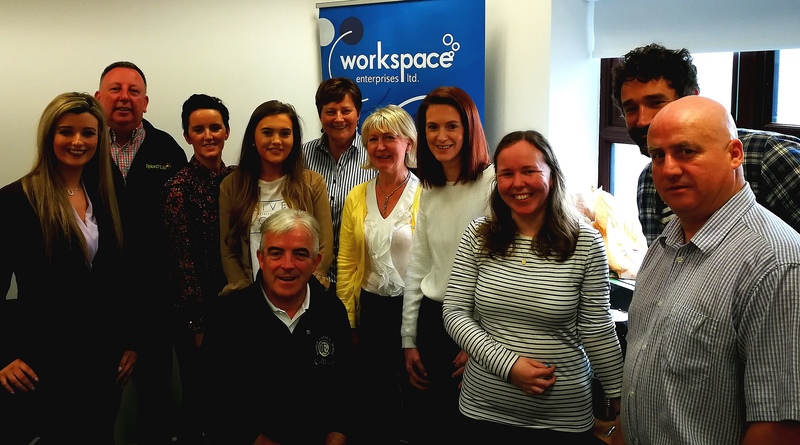 The focus of the workshop series is to give local businesses the support they need with gaining knowledge and skills to enable them to do business better. 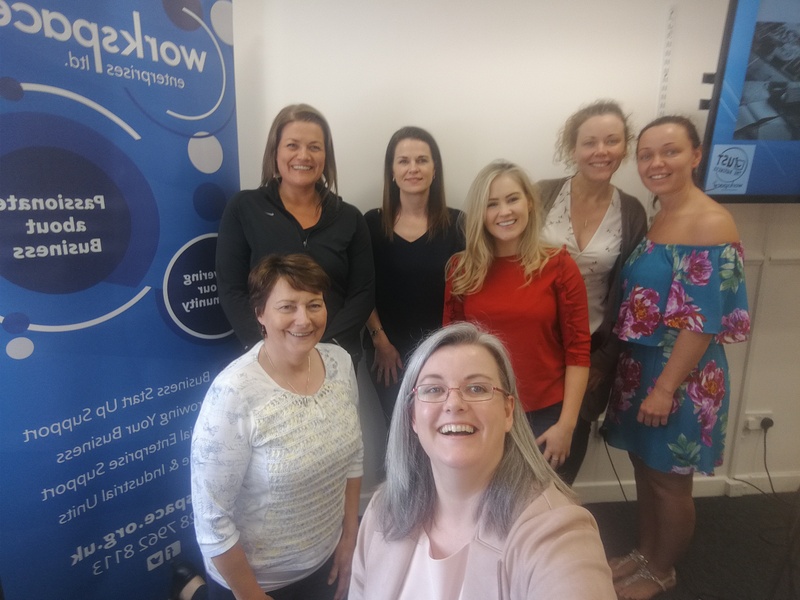 A range of skills around social media marketing was the initial focus and the first two workshops helped participants learn how to promote their business through various social media channels, how to target different audiences through these channels. The workshop looked at using Facebook, Twitter, Pinterest and Linked In. We also looked at how to use paid marketing effectively on social media platforms and some tips and tricks for social media marketing activities. This was further supported through the next session which looked at creating creative content for your social media campaign. We often struggle with what to say or how to create a campaign. We looked at how to plan a campaign of various activities, competitions, email marketing and social infographics, special events, use of hash tags etc. Momentum and interest was building with returning businesses, networking activity between participant businesses and everyone was keen to heart what was coming up on the next workshops. 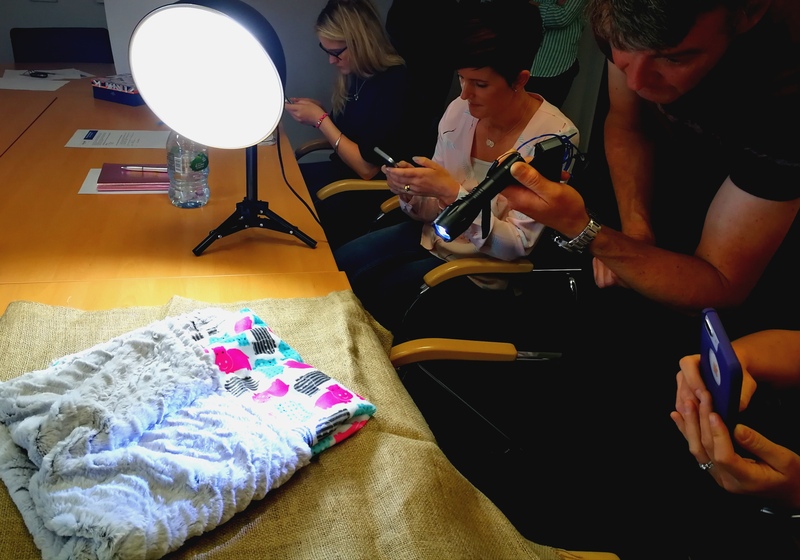 Behind every successful social media post is a great image and we were very lucky to have a local photographer with a City and Guilds Gold award who was happy to come in a host a workshop on how to create a great photo and get the best out of your camera on your smart phone. John O’Neill @Sperrin Photography was able to give participants a great demonstration of his award winning photos, shared with us how he goes about composing a photo, how to lead the eyes and finished off with a hands on interactive product photoshoot which showed us how to get the best from our camera through understanding of the phone settings and correct use of lighting. Essentially we were all able to turn an ok product photo into an outstanding product photo. John also shared some of his experiences with the group on how he goes the extra mile to get the right photo and how to think outside the box, looking at lighting, angles, reflections and new events to capture a moment. So our participating business were a journey of introducing social media as a marketing platform, deciding on what media is right for their business, and had learned how to create content and got expert support with creating brilliant images for our posts. The next step was how to ‘go live’ with the improved results from producing promotional video content. We had the pleasure of welcoming another local Entrepreneur with a wealth of experience in live video, presentation skills and social media marketing. Michelle Coey PR, Media and Events, agreed to present a workshop covering her experiencing of working on Irish TV, presentation skills, gaining confidence on recording video footage and introducing the benefits of using the platform snapchat to gain sails online. 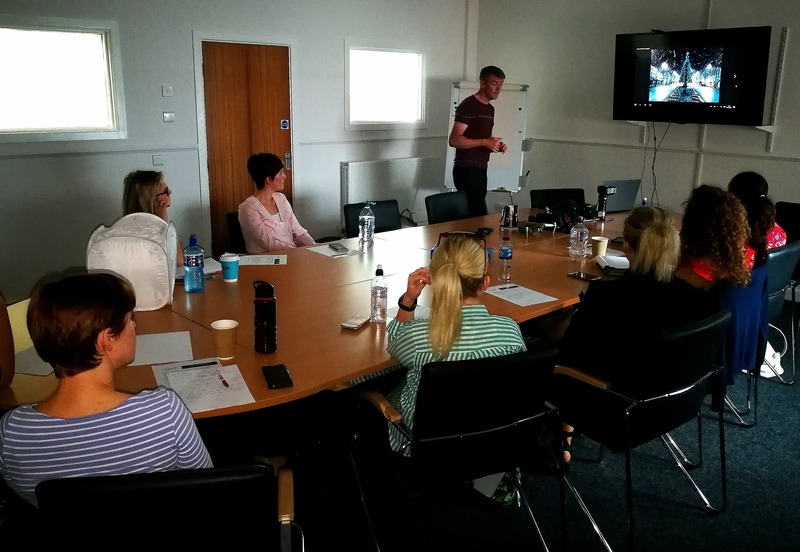 Everyone got the opportunity to have a go at doing a live or recorded video in group and left the workshop motivated to ‘go live’ in their business creating video content and start interacting with customers using Snapchat. Michelle shared her tips on presentation and delivery in the first fully booked workshop on the Just the business series and it was a great success with fantastic feedback. It has been great to see participants starting to go live on various Social Media platforms and gaining brilliant reactions and responses from their customer base. Our next workshop topic turned towards Design. When posting infographics, writing newsletters, CV’s doing product presentations we want them to look and feel professional. For our most recent workshop and final one before the summer break looked at the basics of using CANVA. A software design package that gives you the ability to design and create professional illustrations for your business. CANVA enables you to take control of your brand and design your own content, infographics, social media posts, menus, logos, flyers, business cards. It holds template sizes for all the various social media platforms from blogs to tweets, banners to leaflets etc. It gets you access to copyright free images, and on subscription you can access a further 400,000 images. This was a hands on Workshop which focused on getting participants using CANVA and designing some posts/templates for application in their business. Participants left with content ready to go on to social media, one even produced a flyer which was forwarded to the printers that morning!! Feedback on the Just The Business workshops has been incredibly positive after every workshop. We are delighted with the responses and are loving getting back to supporting businesses to make their business better, through developing new skills and trying new things. We welcome further suggestions on topics or subjects your business would benefit from. After the July break we will return with workshops on Linked In and Mail Chimp, making your business profitable, book keeping basics, marketing and promotion and video editing basics. Thank you to everyone who has participated in our workshops to date and we look forward to meeting more businesses over the next series of workshops.